I’ll skip the predefined options for now, and select the DSCP option. From previous experience with Crashplan on windows, I tried an DSCP decimal value of 10. Note that the prompt says ‘DSCP decimal value’. After making this change you must restart the service for it take effect. Within the Synology interface, open the package manager, select the Crashplan package, then stop and restart the service. You’ll need to reconnect any connected Crashplan desktop clients as they will immediately disconnect when the service is stopped. I then tried to selectively monitor this tagged traffic using my Draytek router as described in a previous post but without success. The traffic wasn’t showing up in my QoS filter, instead it appeared untagged with everything else. Previously with windows I used NetMon to catch and view TCP packets within windows itself. Seeing packets coming from the NAS device headed for Crashplan central required a different approach. If we enable SSH within the Synology control panel, we can use a Telnet/SSH client such as Putty to get to the NAS command prompt. I’m a complete Linux novice, but I found that when prompted by Putty I had to login with the user ‘root’ using the password I’d set for the ‘admin’ account. If I logged in as admin I’d reach the command prompt but with insufficient permissions for the following commands. From the command line we can use tcpdump to output packet information from crashplan’s upload. The nearest thing we can look at is the tos bytes but unfortunately no matter how you look at it, 0x0 is zero, and not what we’re expecting. 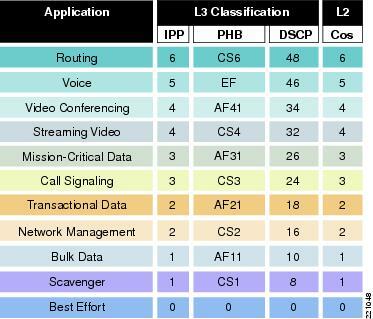 This excellent table of QoS and DSCP correlations is very useful. So setting ’40’ gives us a tos hex value 0x28. Which looking at the linked table correlates to a decimal DSCP value of 10. This was then successfully picked up by the router. Trying other values also works as expected. Crashplan on my laptop was already generating DSCP 10 tagged traffic (AF11 or AF1 Low drop). In order to differentiate the NAS I set it to ’48’ which correlates to DSCP value of 12 (AF12 or AF1 medium drop). This also worked as expected. Note that between any of these changes I had to stop and restart the package service within the Synology web interface, then reconnect the disconnect Crashplan client, then wait for the upload to start again. At this point we can run the tcpdump again. So it seem there is a flat-out bug in the Crashplan GUI setting in that it specifically asks for the DSCP decimal value, but treats it as the TOS decimal value. What about the predefined values ‘low, ‘normal’, ‘throughput, reliability’ ? In DSCP terms, values of 1 or 2 are not really meaningful. In my case I previously used a DSCP value of 10 rather than 8 because the quirky Draytek interface doesn’t have any selectable option for ‘CS’, only ‘AF’ variants or ‘EF’ are selectable. AF11 (Draytek described this as ‘AF1 low drop’ is DSCP 10.